Are you getting married in Southwest Florida? Do you need a musician or vocalist? Please take advantage of the resources I have available. I have here a list of popular songs for your wedding ceremony, as well as links to sites I have found useful in researching good music selections. You can listen to mp3s of live performances of mine from past weddings as well. Click here for a list of the standard places in your ceremony in which you'll have music. This will truly be one of the happiest and most joyful days of your life. I would be honored to share in it as your musician or vocalist. 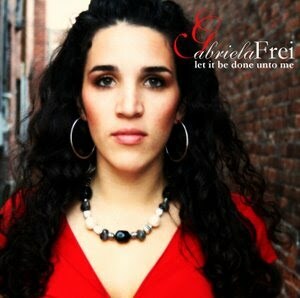 Contact me at gabriela@gabrielafrei.com if you are interested in booking me or want a quote for your wedding. I am available for travel and have experience with both Catholic and Protestant wedding ceremonies.